"Melvin's very unique because he's got his own thing. He really doesn't play typical organ. The organ just happens to be his instrument but he doesn't use it in the common way. Like any jazz player, he plays his lines, which are really subtle and personal. It's not like he's pulling out all the stops and doing the organ thing. He's unique, like a Hank Jones of the organ, a really subtle player." "Melvin's got great time. I noticed that the first time I played with him, that his time does not move. Not only that, his choice of bass notes is always right. In fact, just his choice of notes period, the way he constructs his lines. There's nobody around playing organ like that. He's playing just as good as he did or better than on those classic Wes Montgomery sides. It's a pleasure to play with him because his time is so steady, which is something that doesn't happen all the time and that can be very hard on the drummer. But let me tell you, it's a gas to play with Melvin Rhyne." 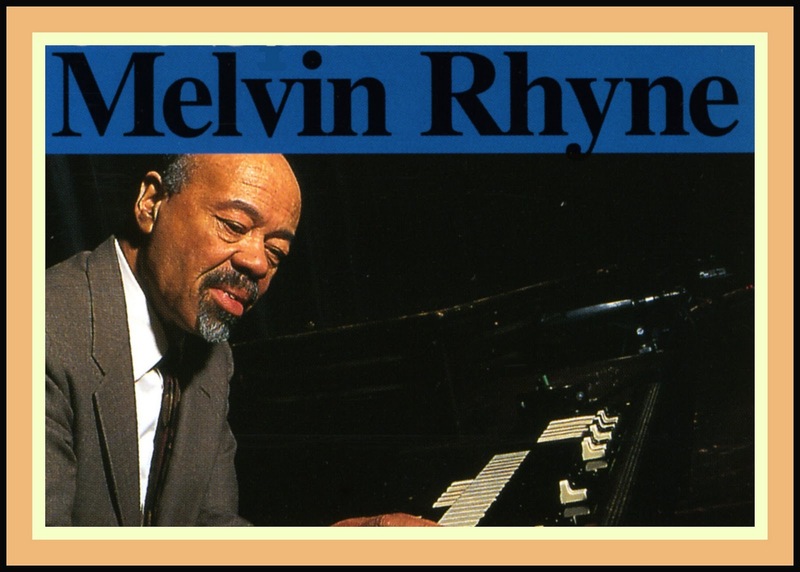 Mel Rhyne passed away on March 5, 2013. Always one of my favorites, I wanted to remember him on these pages with a re-posting of this piece from the blog archives [12.4.2010]. 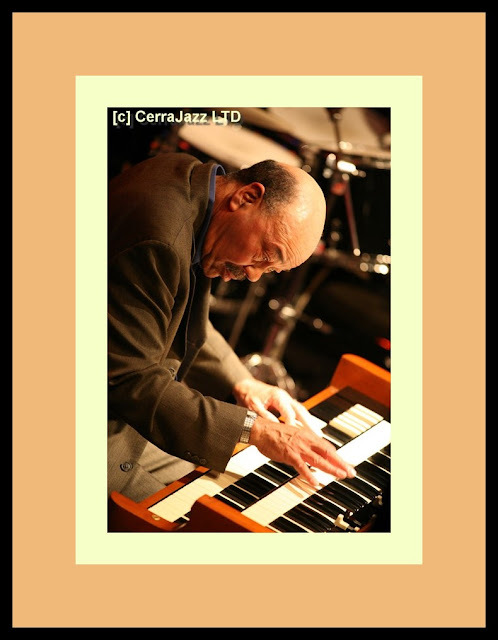 And making music in the context of Hammond B-3 Organ Jazz trios is also “a gas” as I can attest from personal experience. After playing drums professionally for about 12 years, I went into a different line of work, married and began raising a family. 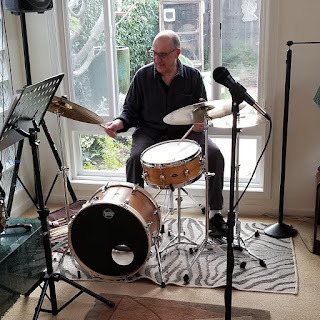 I did keep a set of drums around and played the odd gig now and again, which is how I happened on to an organ-trio gig that began in the Spring in 1970. It’s easy to remember the year as April and May of 1970 witnessed the titanic seven game professional basketball battle between the New York Knicks, who were co-led by center Willis Reed and guard Walt Frazier, and the Los Angeles Lakers, co-led by center Wilt Chamberlain and guard Jerry West. The Knicks won the best-of-seven series in seven games, much to the disappointment of Lakers fans who, at the time, were looking for the team’s first NBA title since it had moved to Los Angeles from Minneapolis a decade earlier. The venue for the gig was an upstairs room [some referred to it an “attic”] at Woody & Eddy’s, a well-established restaurant and bar that was located at the corner of San Gabriel Blvd. and Huntington Avenue in San Marino, CA [think “the Beverly Hills” of the San Gabriel Valley; northeast of Los Angeles]. For whatever reasons [probably increased patronage = selling more booze], the owners of Woody & Eddy’s had decided to turn the upstairs room into a Sunday afternoon Jazz club. The gig lasted from 4:00 – 7:00 PM , ending just-in-time [good name for a song] for the evening supper crowd. The call for the job came from an old high school buddy who played what musicians sometime refers to as “arranger’s piano.” The fact that he was [and still is] primarily an arranger may have something to do with this “choice” of styles. “Arranger’s piano” usually consists of soloing with chords instead of playing hornlike phrases with the right hand and accompanying chords or intervals with the left. When my pal called me for the gig, he mentioned the name of a tenor saxophonist/vocalist who would be joining us, the length of the gig and the “bread” involved [money]. Upon showing up early at Woody & Eddy’s in order to set-up my drums, I suddenly understood “who” the bass player was going to be when there before me was a gleaming Hammond B-3 organ with its bass keyboard foot pedals. From the first downbeat, we jelled as a trio and the huge sound coming from the Hammond helped to envelope everyone in an atmosphere of musical merriment [the early afternoon glasses of Chardonnay may have also had something to do with the salubrious effect brought on by the music]. Almost instinctively, and perhaps in no small measure due to the presence of the Hammond, our repertoire became - The Blues. Also somewhat curatively, my arranger- piano friend’s keyboard limitations were more than offset by the Hammond’s suitability to chords and chording. Using the “stops” [devices that alter the sound texture] on the Hammond and locked hands [playing the same phrase in both hands at the same time], he pounded out explosive chords while the sax player sang “Goin to Kansas City” and I laid down heavy backbeats with rim shots on the snare drum. My Slingerland Radio King snare drum really got a workout on this gig and I got extra “pop” out of it by using [very large] 1A drum sticks that had been recommended by Ron Jefferson [a drummer who had worked with organist Richard “Groove” Holmes; he was also pianist Les McCann’s regular drummer]. 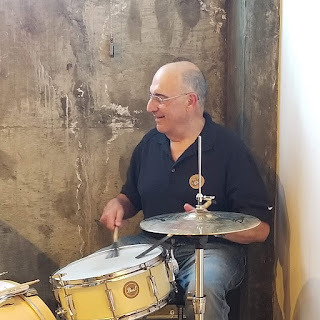 Luckily, too, I had remembered to bring along my 20” K-Zildjan ride cymbal and its harmonic overtones blended in perfectly with the sound of the Hammond, the tenor sax and the blues-drenched atmosphere of the music. The most fun was watching my buddy dance his feet on the organ foot pedals which produced driving bass lines that soon had the upper floor walls of the club figuratively “breathing in and out” with their pulsations. It was one of the best times I had ever had on a gig from every standpoint. But it appeared that it was all going to end all-too-soon when the tenor player called in during the week to share the news that he and his wife had just celebrated the birth of their first child. While we were delighted for he and his wife, the bad news was that he was no longer going to make the Sunday job at Woody & Eddy’s. At this juncture, however, serendipity intervened with the result that a good gig was about to become a great one. For obvious reasons, I had been listening to the three, superb organ-trio albums that the late guitarist Wes Montgomery made for Riverside Records before that label was besieged by financial woes and Wes made the jump to Verve Records and subsequent fame and fortune. 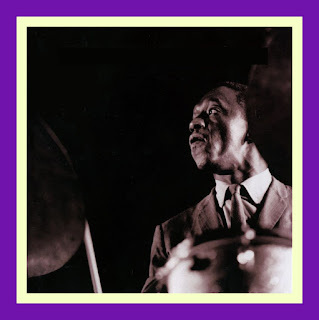 While listening to these sides, it dawned on me that since my earliest days in music, one of my closest friends was a guitarist who had recently gotten back into town after going on the road with Buddy Rich’s “new” big band. To make a long story short, I telephoned him, he said that he’d love to make the gig and after we played our first song together, we knew something special was happening. The Management at Woody & Eddy’s did as well and extended our time at the upstairs room through the Summer of 1970. They even supplied and staffed the bar in the attic room so that the patrons didn’t have to [dangerously] go up and down the stairs to replenish their tankards [there was an elevator, but for some reason, no one ever took it as it negotitated the one flight slower than a hospital lift]. To top it all off, the guitarist taught us all of Wes’ original compositions from the Riverside albums. The organist on these, three classic organ-guitar trio LPs that Wes made for Riverside was Mel Rhyne. Unlike my arranger-piano friend, Mel played the organ like a piano, foregoing the instrument’s theatrical effects in favor of a legato style of phrasing his solos. One thing they did have in common was a love for the instrument’s foot pedal keyboard, although Mel employs it in a more understated fashion. 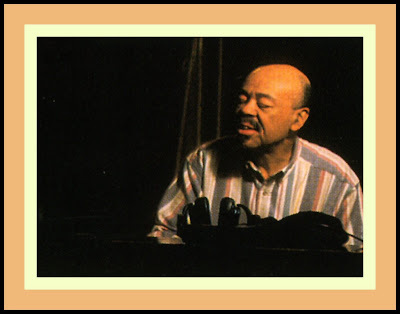 After Mel made the Riverside LPs with Wes, he retired to the relative obscurity of the Jazz scene in his native Indianapolis and later moved to Milwaukee, WI where he had a prosperous career and where he was rediscovered in the 1990s by Gerry Teekens at Criss Cross Records. All you need to know about the “disappearance” and reappearance of Mel is contained in the following insert notes by Lora Rosner from Mel Rhyne’s first Criss Cross CD which is appropriately named Melvin Rhyne: The Legend [Criss Cross Jazz 1059]. You can locate more about Mel’s Criss Cross Recordings by going here. We’ve also put together this video tribute to Mel with he along with guitarist Peter Bernstein and drummer Kenny Washington performing Wes’ The Trick Bag as its soundtrack. 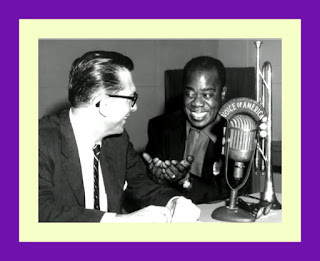 More of Mel with Peter and Kenny can be found at the conclusion of Lara’s notes in a video tribute to Jazz guitarist Peter Bernstein which uses as its audio track Billie’s Bounce from Melvin Rhyne’s Mel’s Spell Criss Cross CD . © -Lara Rosner/Criss Cross Records, copyright protected; all rights reserved. "Legend" is derived from the Latin verb "legere", meaning "to collect, gather or read" and the word has come to mean "things to be read or collections of stories about notable figures"; legends are both such people and the lore that surrounds them. When a musician makes a historic contribution or is part of a historically significant group, an undying interest in the personality and the documents he has left behind, combined with a lack of current information will often engender tales of his recent activities and past achievements which are created to satisfy and feed the public's curiosity and hunger for such news. 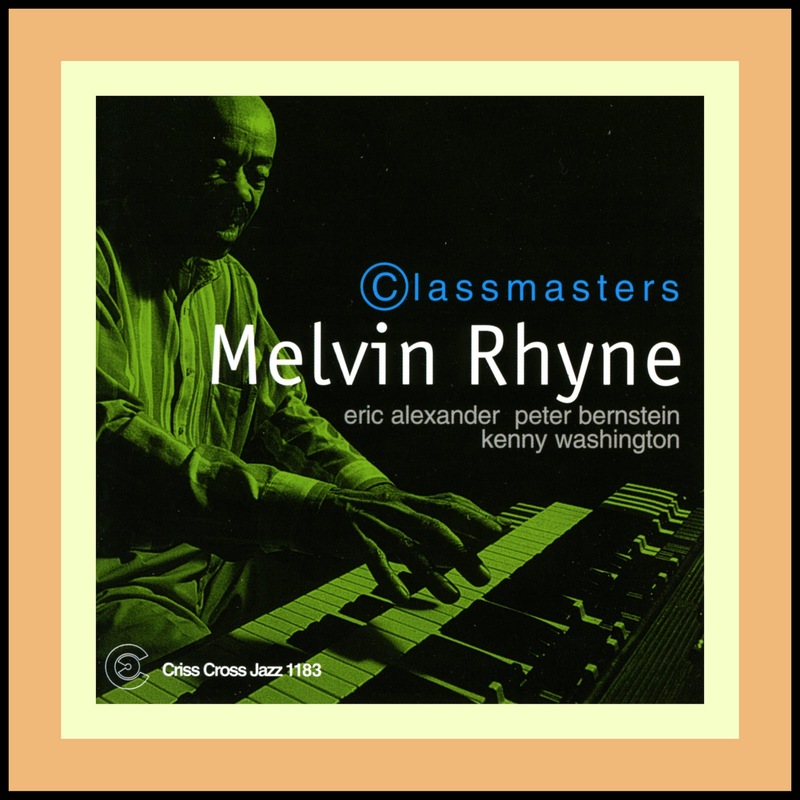 While Mel Rhyne is too modest to feel comfortable being called a legend (Teekens' title), the legend of his whereabouts and his slim recorded output from 30 years ago are now happily supplemented and brought up-to-date with fresh recordings by this brilliant, original voice on the organ and master of his instrument at the peak of his powers. Mel Rhyne (born 10/12/36) is best known as the lyrical, inventive, understated organist and longtime associate of Wes Montgomery who complemented the guitarist so beautifully on four of his Riverside LPs, including his first and last for the label: Wes Montgomery Trio; Boss Guitar; Portrait for Wes; Guitar on the Go. Wes' Riverside recordings document the period of his first maturity and the core of his purest, most inspired, small group playing (10-9-63). Wes and Rhyne both played with great imagination and a certain disregard for convention; they also shared great respect for one another. Wes loved his "piano player's touch." Mel has a good left hand from learning boogie woogie from his father as a child, which made playing basslines easier when he began playing organ in the mid-50's in order to get more work as a sideman. One of the first jobs he did on organ was with Roland Kirk, another highly original, maverick performer grounded in the roots of jazz and the blues. 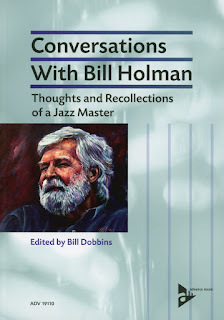 While he later became a fan of the John Coltrane Quartet with McCoy Tyner, a devotee of Red Garland and a student of great organists like Milt Buckner, Jimmy Smith, Wild Bill Davis and Jackie Davis, his earliest musical education was based on listening to Nat Cole, Art Tatum, Oscar Peterson and Erroll Garner records. People interested in jazz history know that Chicago had DuSable H.S., Detroit had Case and Sam Brown taught at Jefferson High in south Los Angeles. Russell Brown was the open-minded band director and free spirit at Crispus Attucks, the only high school in Indianapolis' black neighborhood, who encouraged the jazz activity and featured the talents of many famous Indianapolites: J.J. Johnson; Slide Hampton; Leroy Vinnegar; Larry Ridley; Buddy Montgomery; Mel Rhyne; Freddie Hubbard; Virgil Jones; Ray Appleton - to name a few. Many young musicians took night school classes at the city's numerous clubs and after-hours joints such as the Turf Bar, the Hub-Bub, the 19th Hole, the 440 Club and of course the Ebony Missile Room where Wes Montgomery often held forth, drawing young talent and music lovers to him like a magnet. From 1959-64 Rhyne played and toured with the guitarist except when Wes had the chance to work with his brothers as part of the Mastersounds. The difficulty of transporting an organ contributed to the group's demise but the final deathblow came when Riverside went into receivership and Creed Taylor, Wes' new manager, led him off into a world of large orchestras and more commercial music where Rhyne would have felt superfluous and out-of-place. 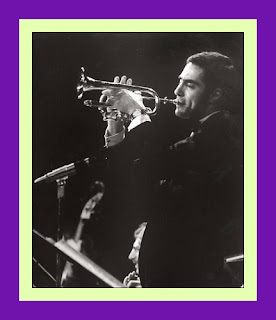 In 1969 Rhyne moved to Madison, Wise, to work with guitarist John Shacklett and his brother Ron Rhyne on drums and also appeared on Buddy Montgomery's This Rather than That (Impulse). Early in his career, Mel had backed great acts like T-Bone Walker, B.B. King, the Four Tops, Aretha Franklin and Arthur Prysock, but after working with Wes he only wanted to play jazz. Buddy Montgomery persuaded him to move to Milwaukee in 1973, a town with enough jazz activity at the time to keep him working and stimulated. 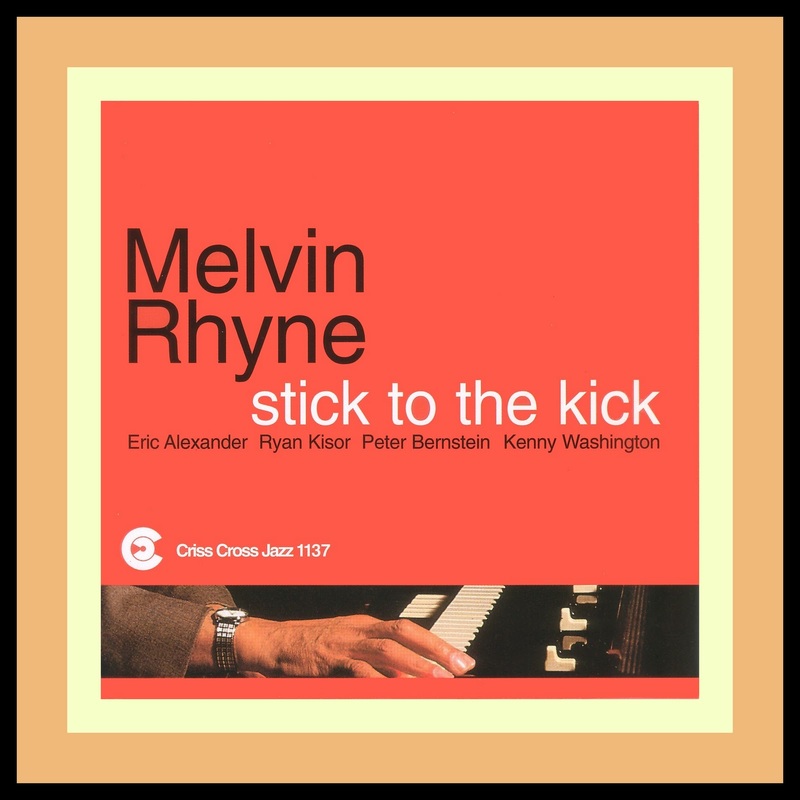 Last year Herb Ellis asked him to play the B-3 on Roll Call (Justice) and a few months ago Milwaukee native, trumpeter Brian Lynch who has known Mel since 1974, asked the organist to appear on his third CD for Criss Cross. A few weeks before his record date Lynch heard guitarist Peter Bernstein at the Village Gate and was so taken with his playing that he asked him to be on the date as well. 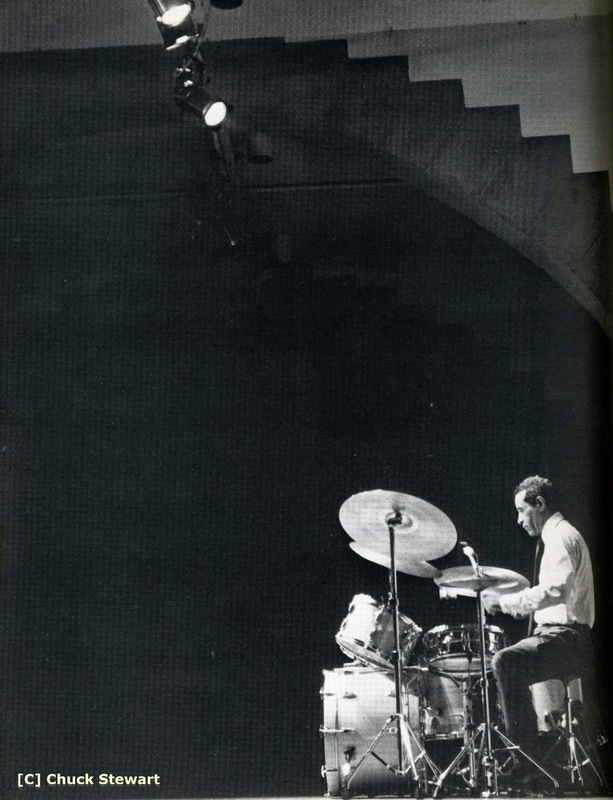 Bernstein predictably gains the respect of every great musician he works with; Jimmy Cobb first asked Peter to work with him in April '89 when he was all of 21 and the guitarist recently led his own quartet featuring Cobb for a standing-room-only week at the Village Gate. Lou Donaldson thought he was listening to a Grant Green record the first time he heard Peter play, subsequently featured him on his CD, Play the Right Thing (Fantasy). Peter's playing incorporates the best qualities of Wes Montgomery and Grant Green. He's an expressive soloist whose horn-inspired lines draw much of their power, beauty and effectiveness from his soulful time. 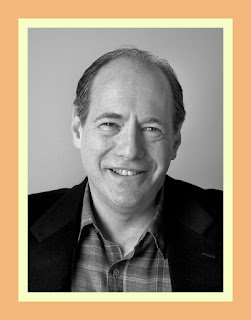 Criss Cross producer Gerry Teekens was so pleased with the results of Lynch's date that he asked Rhyne to do an impromptu trio recording the next day and Mel was quite happy to have Bernstein and young veteran Kenny Washington with him again in the studio. Although Organ-izing (Jazzland) was issued under Rhyne's name in order to capitalize on the organ fad of the time, the LP (1960) was a thrown-together session of four blues featuring horns, organ, piano and bass which limited his role as an organist; he had no idea he was the leader of the date. 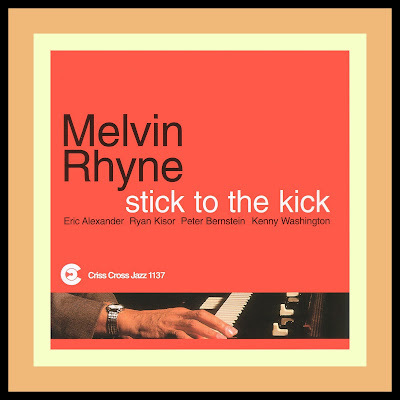 It seems hard to believe but The Legend is Melvin Rhyne's first recording as a leader; the world has waited long enough and so has Rhyne. His stunningly original ideas, impeccable taste and time, humor and unique sound make this CD special from its opening moments. After so many years of imposed silence Rhyne bursts onto CD with a performance of Eddie "Lockjaw" Davis' Licks A-Plenty which conveys his youthful exuberance and enthusiasm and sheer delight in making music. While the title is an apt description of the head, a good name for the solos (especially Rhyne's) might be "Expect the Unexpected." The rhythmic shapes of his lines are irregular and unusual and have an arresting vocal quality. He plays with his audience setting up riffs which he deconstructs with subtle amendments, sly timing or the big sound of surprise when he pulls out a few more stops during a shout chorus. A drummer of Kenny Washington's caliber is needed to keep up with the organist's utterances. 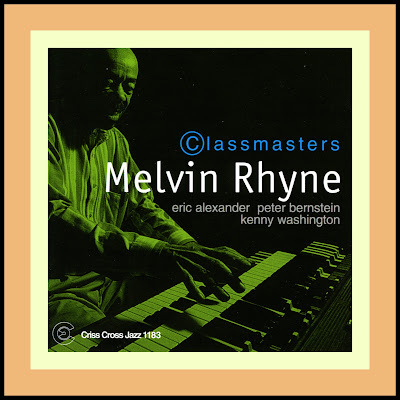 Bernstein can't help but respond to Rhyne and his solo reflects some of Mel's rhythmic originality. In his discreet comping Pete defers to Mel the way Mel deferred to Wes. The atmospheric Serenata is played much more slowly than usual and shows off Bernstein's beautiful sound and feeling for melody. He learned the tune in the studio without music. Mel told me that he thought Peter did a marvelous job; he was particularly happy with the trio's pleasing contrast of sound. Dig the relaxed feeling and great solos on Savoy which is surely one of the highlights of the session. Mel digs in with a strong, dense sound and makes a blistering statement on The Trick Bag. Bernstein is an extension of Rhyne's lyricism and taste on a soulful Old Folks (gorgeous intro). Next Time You See Me was a 1958 hit for Frankie Lymon and many singers have done it since. Rhyne phrases the melody the way a vocalist would. True to his bebop roots and his own inner voice, Rhyne reinterprets Groovin' High at a brisk pace. Contributions from guests Brian Lynch and Don Braden brought the session to a close. Melvin hopes to record again in the near future which will no doubt be eagerly anticipated. He is very happy with everyone's efforts and the music on The Legend. I'm sure all you listeners will agree with me -- it's been worth the wait! Thanks are due to Ted Dunbar and Prof. David Baker for their invaluable insights on the Indianapolis scene. Enjoy! Peter Bernstein with Mel and Kenny on Billie’s Bounce.